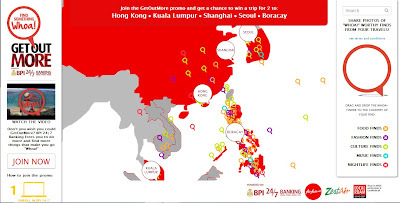 If last year, BPI 24/7 brought seven lucky winners of four to an all-expense-paid trip the top destinations of the country such as Bohol, Davao, Cebu, Legazpi, Iloilo and Puerto Princessa, this year, grander and more exciting prizes awaits to BPI 24/7's Get Out More, Find Something Whoa! winners as they are bound to experience and see Asia's top destinations. 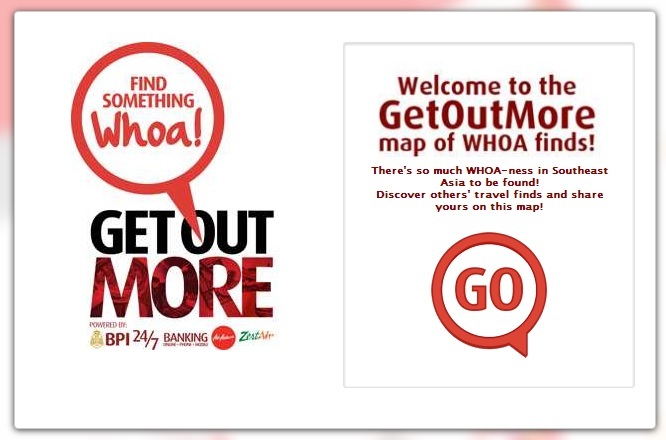 An all-expense-paid trip for two to Hong Kong, Shanghai, Seoul, Kuala Lumpur and Boracay are waiting for the lucky winners of Get Out More, Find Something Whoa! this year. And alongside these exciting all-expense-paid trips, winners will also have a Php24,700 cash as their pocket money to fully enjoy the their trips in the said destinations. But before you start getting too excited, let me share to you first on how you can join on this exciting and bucket-list-worthy promo. As part of their commitment to provide the most innovative and convenient banking services to their clients, at the press conference where the mom and daughter Pia and Saab Magalona hosted the show, BPI 24/7 Vice President & Division Head of the Digital Channels Management Division Mr. Armando T. Navarette, Jr. shared to us that the promo is open to all BPI 24/7 account holders, old and new, as long as they pay their bills through BPI 24/7's Banking Channels such as BPI Express Online, BPI Express Mobile and BPI Express Phone. Sharing an essential banking transactions, anytime and anywhere, BPI Vice President & Division Head of the Electronic Channels Marketing & Sales Division Mr. Carlo S. Gatuslao, also added that BPI 24/7 is also making sure that they offer fast, secure and easy as possible transactions for their clients to to have time for other important matters in their lives. This promo will run from August 1 to November 30, 2013 and is also open to BPI Family Savings Bank and BPI Direct account holders. Alongside this promo, BPI 24/7 also launches their latest website that features the beauty of the said Asian destinations that will soon fulfill the dream of their lucky winners. Sharing tips on Food Finds, Fashion Finds, Culture Finds, Music Finds and Nightlife. Finds, http://www.getoutmore.ph is your one-stop shop on what's to check out in the destination of your choice. You may also share your recent photos in the said destination my following the simple mechanics posted on http://www.getoutmore.ph. So, what are you waiting for? Pick your destination or destinations now, book a flight and get out of your comfort zone and enjoy the beauty of the world! Remember, YOLO - you only live once, so get out more! This promo is co-presented by AirAsia, ZestAir and LocalRoam, the campaign's accommodation partner.